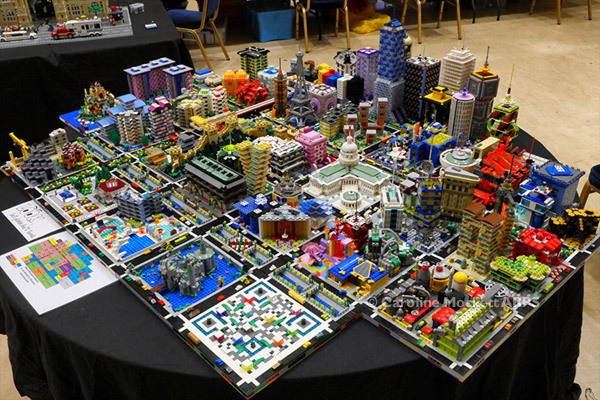 Notes: Here is my first solo display at a big LEGO event, the Discovery Brick Show in Newcastle, including all 29 blocks of my Micropolis city. 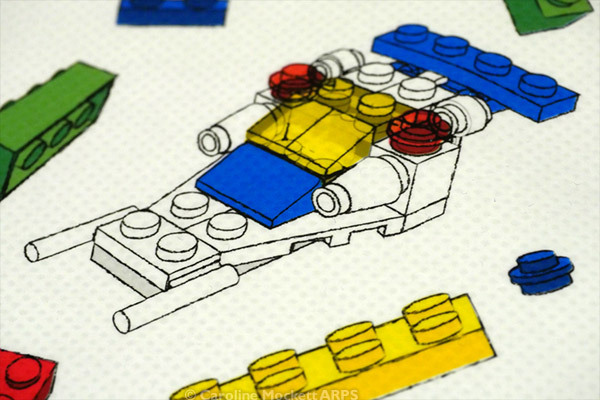 It probably won’t happen again any time soon – the car was pretty full and the city is ever-evolving, so I will probably take a smaller selection to the next event I do. But I wanted to be able to show all of them off at least once. The display was very well received by visitors and other AFOLs who were also participating. And the lovely friendly folks at Brick Alley LUG made me feel very welcome. 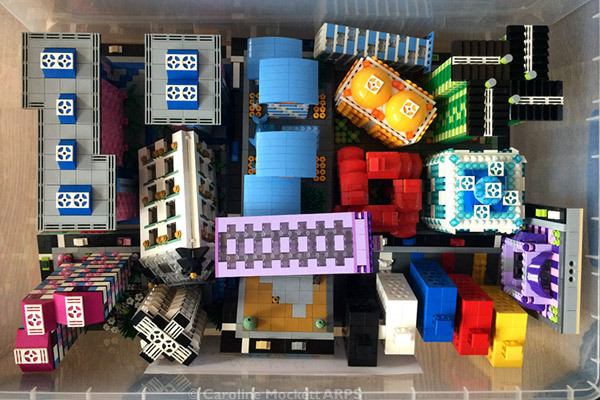 Notes: Time to put them all in the box again, ready for transport to Newcastle for a big LEGO show next weekend. Hope it all fits in the car! 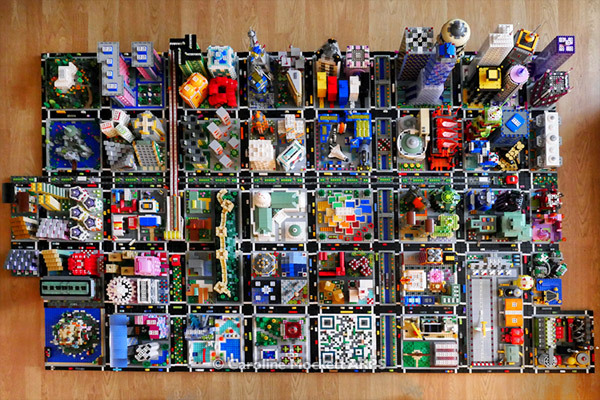 Notes: This next week I’m travelling up to Newcastle to display a full selection of my Micropolis builds at a new LEGO show in the Discovery Museum. 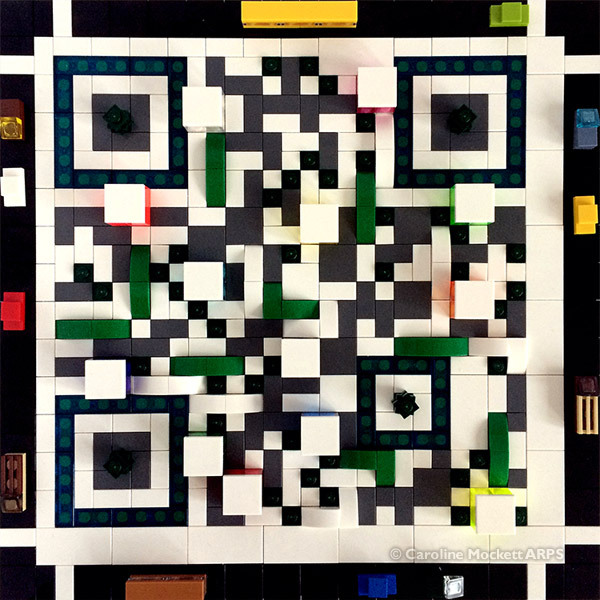 Rather than handing out wasteful business cards with my website details on, I built this Micropolis block called QR Square, which is a real, scan-able QR code! 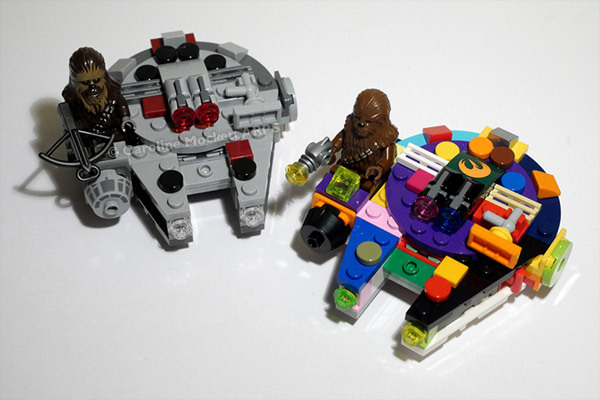 It should take you to a page on my website showing you where to find all my LEGO content around the web. 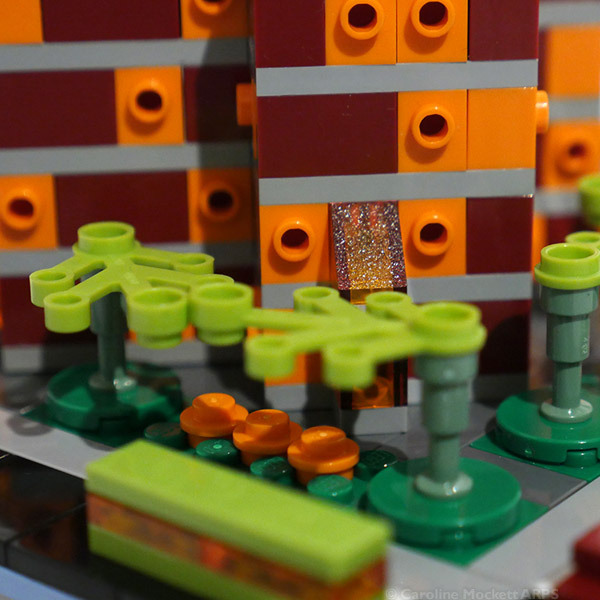 To the punters of Micropolis, it just looks like a rather modern park with different coloured paving slabs, a few ponds and some carefully placed hedges. Seen directly from above, it’s a different story! Perfect for 52 Weeks 2018 – Topic 9, Something That Begins With Q. 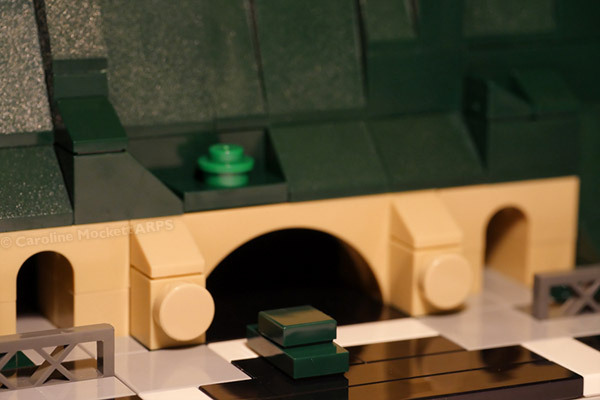 Notes: Here’s the tunnel mouth of a MOC I made from two sets of the LEGO Great Wall of China release. 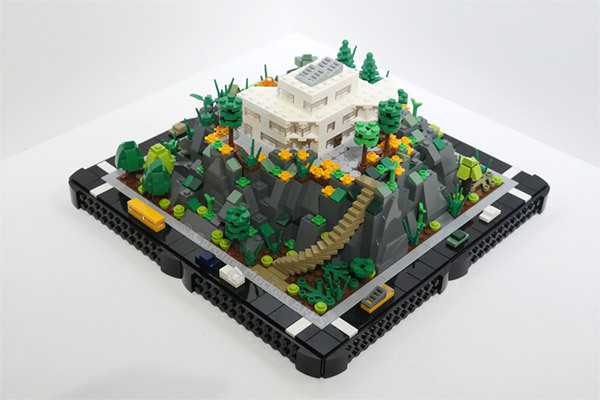 The huge hill and wall span across two Micropolis baseplates, and there needed to be a way for the cars to get through, so some boring into the mountain was required. The traffic flows freely now! Originally I made this shot for the Treasure Hunt theme “Tunnel” but then realised I’d already got a shot for that one! Never mind. 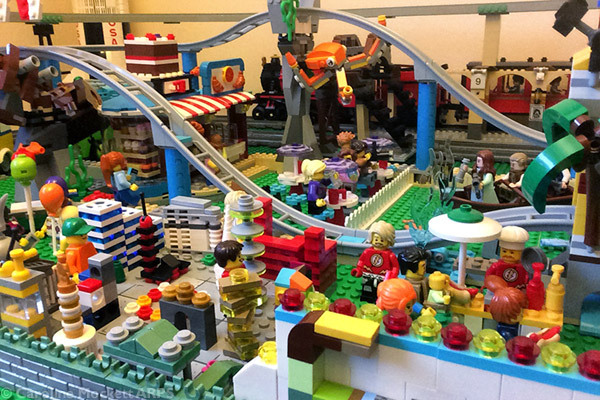 Notes: Having returned from the Egham Royal Show where some of my LEGO was on display over the weekend, I had the inspiration to build another little Micropolis model. This one is called Pumpkin House.